Scott County was formed by an act of the General Assembly on November 24, 1814, from parts of Washington, Lee, and Russell Counties, and was named for General Winfield Scott. 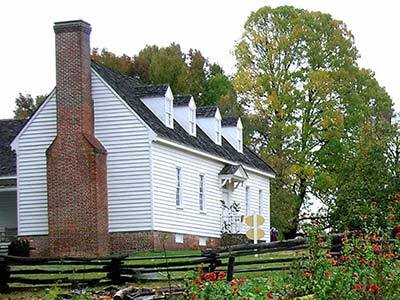 This living history museum depicts an 1840s farmstead in the mountains of Southwest Virginia. The collection of authentic structures and artifacts has been assembled here from their original locations throughout Scott County. 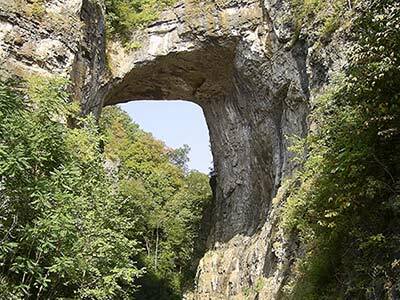 Natural Tunnel State Park is named after the one-million-year-old cave which runs under Purchase Ridge, allowing Stock Creek to go in one side and out the other. 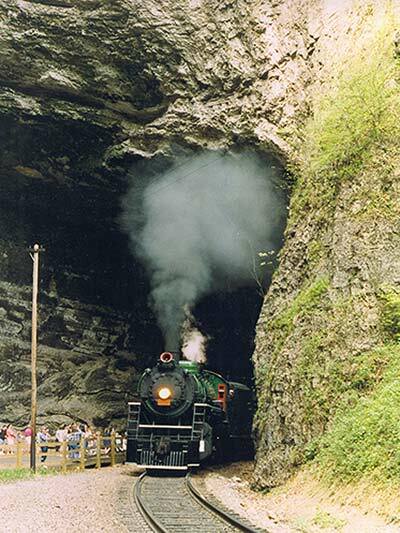 A railroad has taken advantage of this natural passage to follow the path of the creek, and daily coal trains can be seen roaring through the tunnel. The Wilderness Road Blockhouse erected at Natural Tunnel State Park in 2003 is typical of the blockhouses that were manned by the Holston Militia during the frontier conflict between the Indians and settlers. 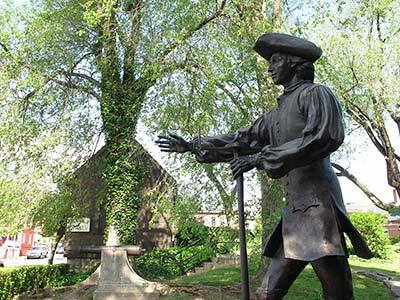 A tract in the Powell Valley was originally settled by Joseph Martin, who arrived in March of 1769 after a difficult journey to claim 21,000 acres as the first settler on land granted to the Loyal Land Company. 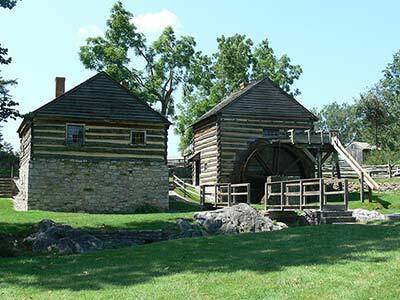 Boone found Martin already in place at his station when he made the trip into Kentucky in the spring of 1775. Wilderness Road State Park features a reconstruction of Martin’s Station and a visitor center located in the 1877 Ely House. Cumberland Gap was the only easily accessible pass through the Alleghany Mountains. 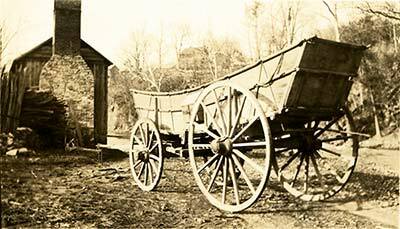 Prior to 1750, it was used by Indians moving from area to area in trading, hunting, or war parties. 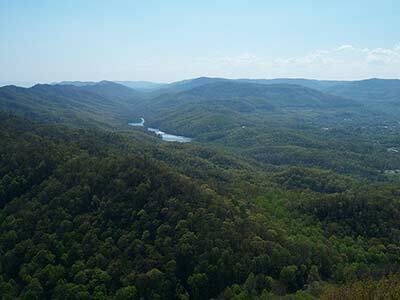 Daniel Boone was commissioned to open a trail through the gap, known as “Boone’ s Trace.” During the 1790s a mass of immigrants passed through Cumberland Gap at the rate of nearly 100 per day, looking for available land in the west. 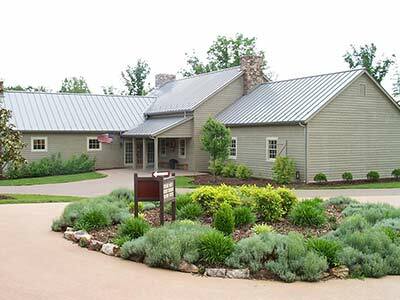 The Daniel Boone Visitor Center houses a museum, interpretive films, and handmade crafts from the region. Booker T. Washington National Monument commemorates the birthplace of America’s most prominent African American educator and orator of the late nineteenth and early twentieth centuries. 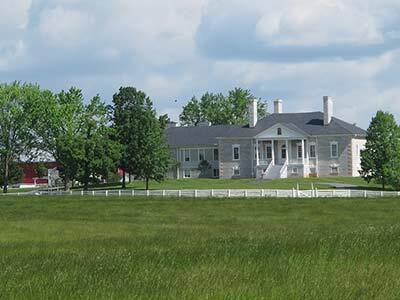 The property evokes an 1850s middle class tobacco farm, representative of Booker T. Washington’s childhood at the farm owned by the prosperous Burroughs family. He was born in 1856 to their enslaved cook, Jane, and lived on the farm throughout the Civil War. 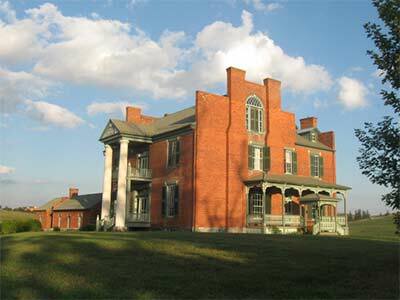 After the Civil War, Washington became the first principal of Tuskegee Normal and Industrial School. As an adviser, author and orator, he became the most influential African-American of his era. Ferrum College opened the Blue Ridge Institute and Museum in the early 1970s to document and interpret the folk heritage of the Blue Ridge area. The museum has an important collection of furniture, textiles, and decorative arts from the region. The institute presents the annual Blue Ridge Folklife Festival, the state’s largest celebration of regional folkways, and the Blue Ridge Farm Museum, a living history farmstead demonstrating early rural life, including cooking, farming, crafts, and historic animal breeds. 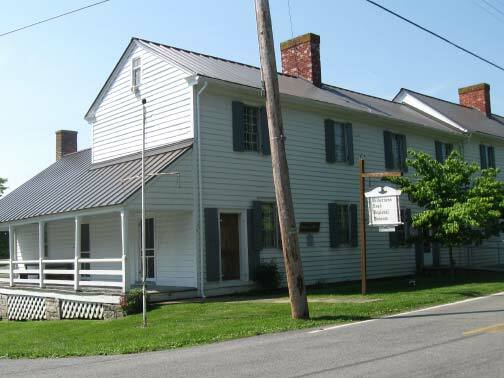 The Bassett Historical Center contains an extensive collection of genealogical research and local history research for both Henry and Patrick counties and Martinsville. The Center currently houses family files, local history files, genealogy books, early African-American materials, and the histories of local industries. 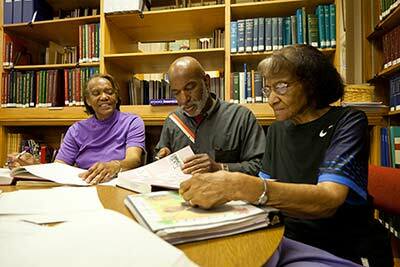 It is regularly open for visitors pursuing family history research. 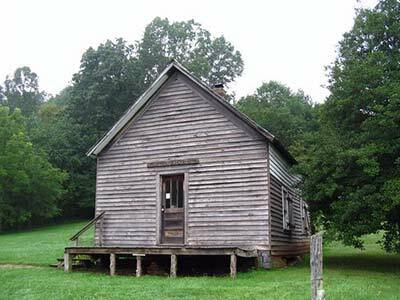 Martinsville was laid out in 1791 on the land of tobacco planter George Hairston as the seat of Henry County. It was named in honor of Joseph Martin, a legendary frontiersman, Indian trader and hero of the American Revolution. The original log courthouse was replaced by a brick structure in 1824. This was remodeled in 1929 and, since 2011, houses the Martinsville-Henry County Heritage Center & Museum. The museum contains exhibits detailing the history of the town and county. The courthouse is the first stop on a walking tour of Martinsville. The Virginia Museum of Natural History is affiliated with the Smithsonian Institution. Natural history research, exhibit collections, and educational programs at the museum provide an opportunity for better understanding of the environment that shaped early settlement, both by Europeans and Native Americans. Permanent exhibit galleries include “Uncovering Virginia and How Nature Works,” the Hahn Hall of Biodiversity, and the Fossil Overlook. One exhibit details the excavation of the important Totero Indian settlement at the Graham-White site on the Roanoke River at present-day Salem, Virginia. The town of Giles Court House, later Pearisburg, was established when Capt. George Pearis donated 53 acres in 1806. The brick Giles County Courthouse, built in 1836, dominates the town. The Giles County Historical Society’s Museum includes the 1829 Andrew Johnston House, a historic house museum which not only features numerous pieces of original furniture but contains rare examples of decorative wall painting. 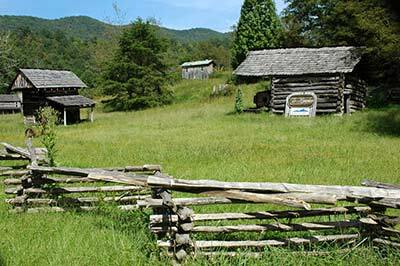 Between 1490 and 1530 AD, a small group of Native Americans settled along Wolf Creek in present-day Bland County. They built a circular palisaded village to house as many as 100 people. Excavation of the site in 1970 revealed 14 structures and a wealth of artifacts. 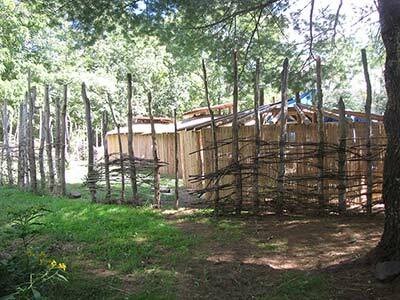 The Wolf Creek Indian Village and Museum opened in 1998 to interpret the story of the region’s prehistoric peoples, including a full recreation of the village. 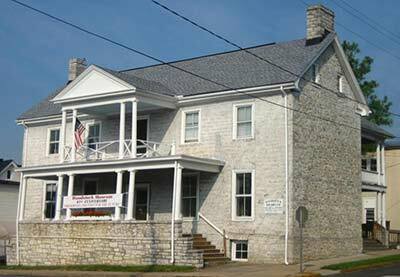 Crab Orchard Museum presents not only local history but a comprehensive overview of the Appalachian region, with important exhibits on early life, military history, and a natural history section documenting the animals of Southwest Virginia. The museum’s exhibit of Native American artifacts displays the results of excavations at the nearby Crab Orchard site, a large Woodland village. 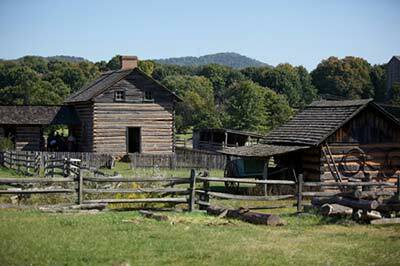 Pioneer Park village includes fourteen log structures that have been reassembled to show what daily life was once like in western Virginia. 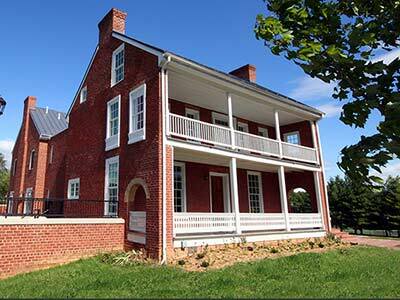 Completed in 1896, the restored Sanders House is now home to the Tazewell County Visitors Center. The large Victorian house features oak woodwork, an original mural, and original Sanders family collections. The property also contains a granary, smokehouse and cottage outbuildings, as well as the relocated historic Bailey House, a pre-Civil War log structure that was home to one of Bluefield’s earliest families. Slavery was on a smaller scale in western Virginia, and Montgomery County citizens were not overwhelmingly in favor of its continuation. Thousands of African-Americans, often shackled and chained together, traversed the Great Road through the vicinity in slave “coffles”on their way from auctions in the upper South, where tobacco culture was on the decline, to the Deep South. After the end of the Civil War, freed black communities and organizations were formed across the state. The Order of Odd Fellows and the Order of St. Luke joined forces in 1907 to build a community social center. 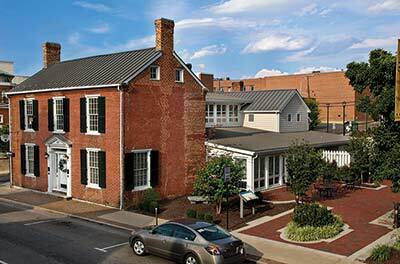 It has been restored by the town of Blacksburg as a museum of African American culture and visitor center. 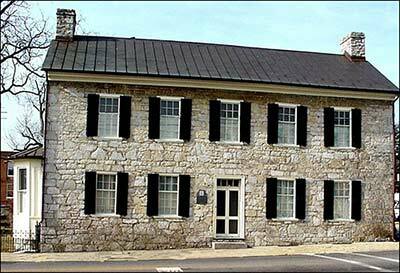 Built about 1775 as the home of political and military leader William Preston, Smithfield is one of the oldest houses in Southwest Virginia. As surveyor of Montgomery County, Preston was in charge of the division of new lands to the west, including Kentucky. The house is furnished to represent the occupancy of the Preston family. The basement museum contains displays of historic objects and Native American artifacts from Montgomery County’s Shannon site, the most famous Woodland Period site in the Blacksburg area. A gift shop makes available reproduction artifacts, books, and colonial-era toys. Glencoe, built in 1875, is the historic dwelling of Civil War General Gabriel Wharton and home of the Glencoe Museum and Gallery. The museum interprets the history of Southwest Virginia, highlighting the contributions of the Native Americans, early settlers, industries, educational institutions, businesses, local artisans and handicrafts, as well as topics of local interest. One of the most important collections on display is a group of Native American artifacts uncovered at Radford’s important prehistoric village, known as the Trigg site. Newbern, established in 1810, contains a fine collection of frame and log buildings. Landowner Adam Hance recognized the economic benefits of developing a town along the Great Road, midway between Christiansburg and Evansham (now Wytheville). 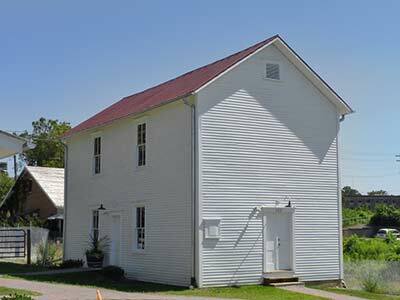 The building housing the museum is made up of two structures, an 1810 tavern and store and the 1816 Hance family home. 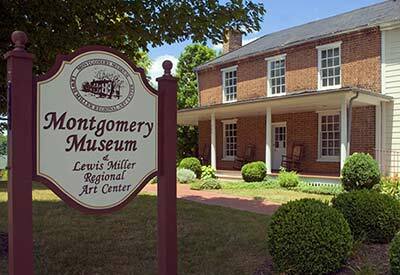 The museum, owned and operated by the New River Historical Society, exhibits artifacts and documents highlighting life along the Wilderness Road. One of the most recognizable landmarks in Southwest Virginia, the house popularly known as Fort Chiswell Mansion was finished in 1840 for two brothers—Stephen McGavock (1807–1880) and Joseph Cloyd McGavock (1813–1886). The house has a fine Flemish bond facade, a two-story portico, unusual stepped gable parapets, and a fine staircase on the interior. 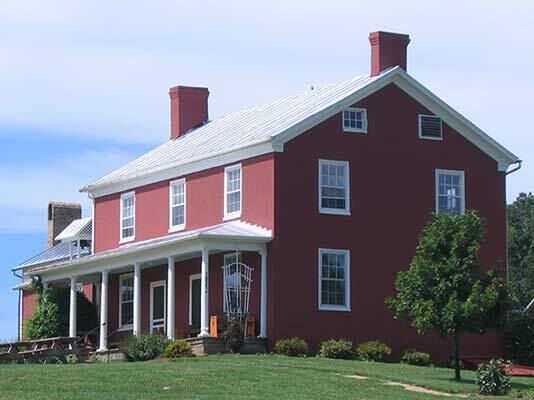 Today, the Mansion at Fort Chiswell shares its rich history, promoting local and regional tourism, supporting educational programs, and contributing to the growth and success of local and regional artists. The walled McGavock Cemetery contains a rich collection of Germanic carved stones. The town of Evansham, later named Wytheville, was established in 1790 as the seat of Wythe County, located on the Great Road. The Haller-Gibboney Rock House has played a significant role in Wytheville’s history since its construction in 1823. Original owner Dr. John Haller served his community as a country doctor, county coroner, and delegate to the Virginia Legislature. 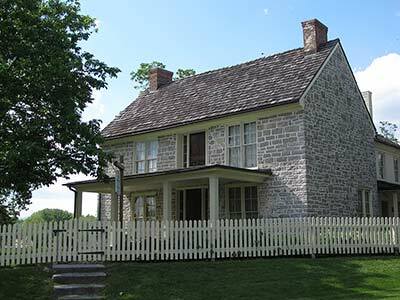 The house, together with the nearby Thomas J. Boyd Museum, exhibits original artifacts and period furnishings to interpret the settlement and development of the historic town. The exhibit includes objects uncovered in excavations at the nearby site of Fort Chiswell. The E. Lee Trinkle Visitor Center is a great place to obtain information about cultural and recreational opportunities in the area. 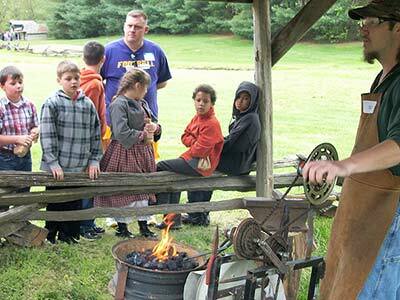 The Willowbrook Jackson/Umberger Homestead Museum next door helps visitors understand rural life in the region. A historic gas station, built by Herbert R. Umberger in 1926, embodies a later period of cross-country migration. Originally called the “Lakes to Florida Service Station,” the building contains a small museum that interprets early twentieth-century transportation along Rt. 23, then known as the Great Lakes to Florida Highway. Hillsville was laid out in 1842 to serve as the seat of newly-founded Carroll County. 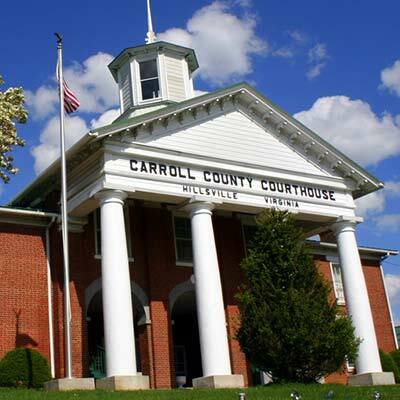 The historic Carroll County Courthouse, home of the Carroll County Historical Society and Museum, presents the rich history of the county and its communities. Early Native American artifacts recovered from a nearby archaeological site are on display. The historic courthouse was the site of a famous courtroom shooting in March 1912. 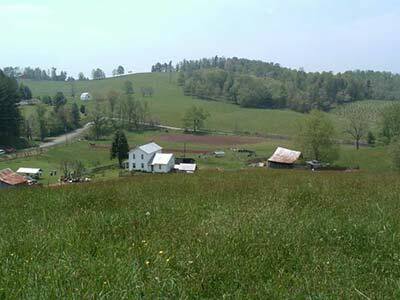 Grayson County was settled in the mid-eighteenth century. The upper portions of the New River Valley were not easy to reach due to the difficult geography. The Grayson-Raleigh Turnpike, constructed in the 1850s, connected Grayson County with more distant markets. 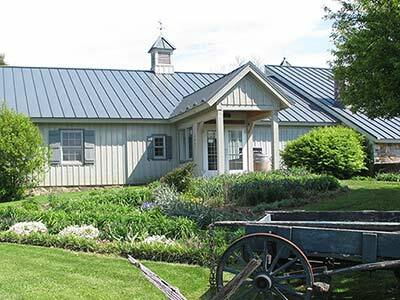 The Matthews Living History Museum was founded to preserve the cultural heritage of upper New River Valley farm life by presenting its artifacts, tools, equipment, methods and skills. The new town of Independence replaced the Grayson County seat at Greenville in 1850. Independence was laid out at the intersection of the main roads crossing the county from the north and east. The courthouse was built on a public square at one corner of the crossroads, across from a hotel and a store. The courthouse of 1908 has been restored and contains a museum of regional life and customs, a gift shop with regional crafts, and an auditorium used for concerts and plays. The Settler’s Museum, by means of a collection of historic buildings, presents the story of the different ethnic groups that migrated through and settled along the Great Road. 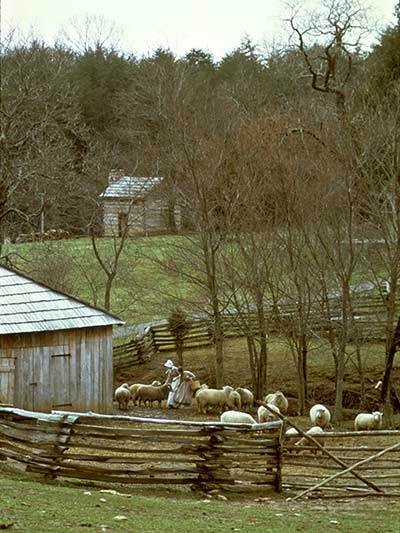 The Visitor Center houses an exhibit entitled “The Migration Story” which explains the story of the Ulster-Scot and German migration up the Valley of Virginia. The Smyth County area was settled in the mid-eighteenth century and formed as a county in 1832. Thomas Hume’s land on the Middle Fork was selected as the site of a county seat, named in honor of Gen. Francis Marion of Revolutionary War fame. The museum offers a “tour through time” that interprets the economic and social development of rural Southwest Virginia with an impressive collection of artifacts from the prehistoric to the modern era. Gen. William Russell moved to the Salt Lick in 1788 and dug one of the first salt wells, marking the beginning of an important commercial mineral industry and company town. By the time of the Civil War, the salt works consisted of 38 furnaces boiling 2600 one-hundred-gallon kettles twenty-four hours a day. 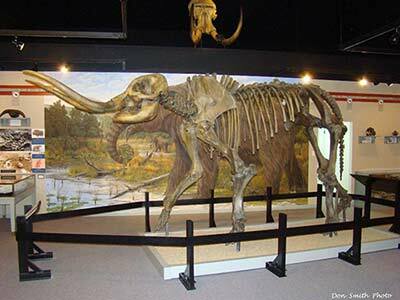 The Museum of the Middle Appalachians explores the long history of the region, in particular the attraction of prehistoric animals such as the woolly mammoth, as well as humans, to the rich deposits of minerals in Saltville. The northern trailhead for the Overmountain Victory National Historic Trail, the Abingdon Muster Ground is the regional center for American revolutionary period history. This is the place where local soldiers gathered to march to battle. Exhibits help visitors discover what life was like for the Overmountain men, backcountry women, African-Americans and Native Americans, as well as British Loyalists. The gift shop provides gifts, books, and historical reproductions. 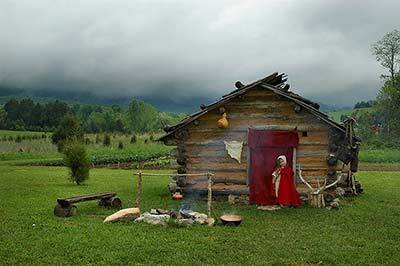 The Frontier Culture Museum is an outdoor living history exhibition of farmsteads, each of which represents one of the ethnic traditions that formed the way of life in the Valley of Virginia. 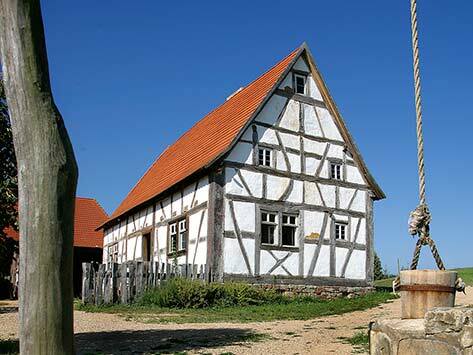 Carefully reconstructed farm complexes, including houses, barns, and outbuildings from England, Ireland, Germany, Africa, and Virginia are inhabited each day by interpreters who demonstrate farming, cooking, and other domestic activities.